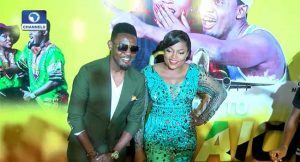 It was a star-studded, black carpet event at the premiere of AY’s new movie, ‘A Trip to Jamaica’, in Lagos. Among those in attendance were fans, supporters as well as celebrities in the music, film and fashion industries. The movie, which was a mix of Hollywood, Nollywood and Ghallywood actors, featured Funke Akindele, Nse Ikpe Etim, Chris Attoh, Dan Davids, Eric Roberts, Rebecca Sylvera, Paul Campbell and AY among others. In 2014, comedian Ayomakun popularly known as AY, released his debut feature length film ’30 days in Atlanta’, which gained rave reviews and eventually became a box office hit, as the highest grossing film in Nigerian cinema. Despite mixed reviews, the Robert Peters directed comedy, came back with the spin-off in 2016 ‘A Tri p To Jamaica’. AY, who is regarded as one of Nigeria’s highest grossing comedians, explained that he decided it would be a good idea to shoot the movie in Jamaica because he discovered after some research, that “Jamaicans love Nollywood movies, and we also love their culture, especially in the aspect of Music”. He also said that as part of making it work, there were a lot of collaborations along-side the movie. Such collaborations he said were between Tiwa Savage and singer, Busy Signal, who created the official motion picture soundtrack for the movie. Director, Robert Peters further explained the multicultural film, saying “we are trying to connect, trying to make a cross cultural movie and at the end of the day, it is aimed at giving our film a world view”. AY also addressed concerns on piracy, a menace to which the ’30 days in Atlanta’ fell victim. 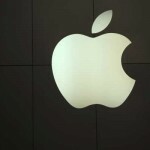 He said certain measures have been put in place to avoid a repetition. He, however, appealed to the government to take proactive steps to allay the fears of stakeholders in the creative industry. 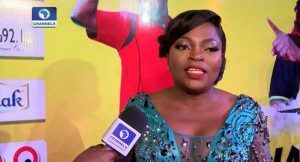 Another interesting detail that crowned the event was the first time appearance of Funke Akindele, A.K.A Jenifa, with her singer husband, Abdul Rasheed Bello A.K.A JJC skills. The couple, who had gotten married in a secret wedding, in London on August 23, 2016, finally came open in public for the first time during the premiere of the movie ‘A Trip To Jamaica’. Reports say they chose a quiet wedding in London because neither of them wanted to be at the center of attention, having been on that lane before. “The decision to do it quietly was right for us and we pray for the understanding of our close friends and fans at this offer of a lifetime moment,” the couple said.